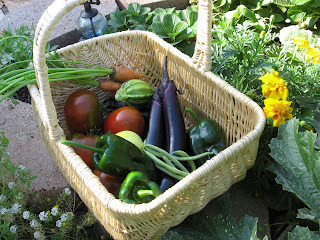 Our Summer's Bounty in Pictures! 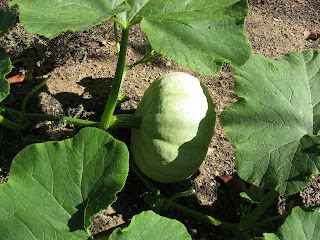 The Stella Blue Hokkaido is a kabocha (Japanese) squash- I've never seen this type in the grocery store. 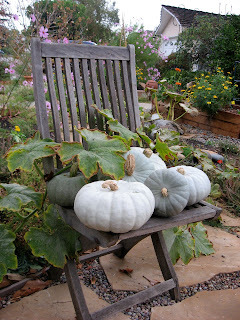 You can bet I'll try saving some seeds! 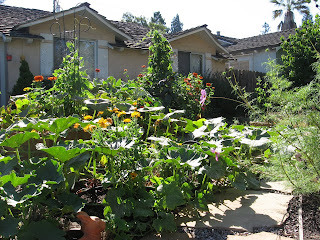 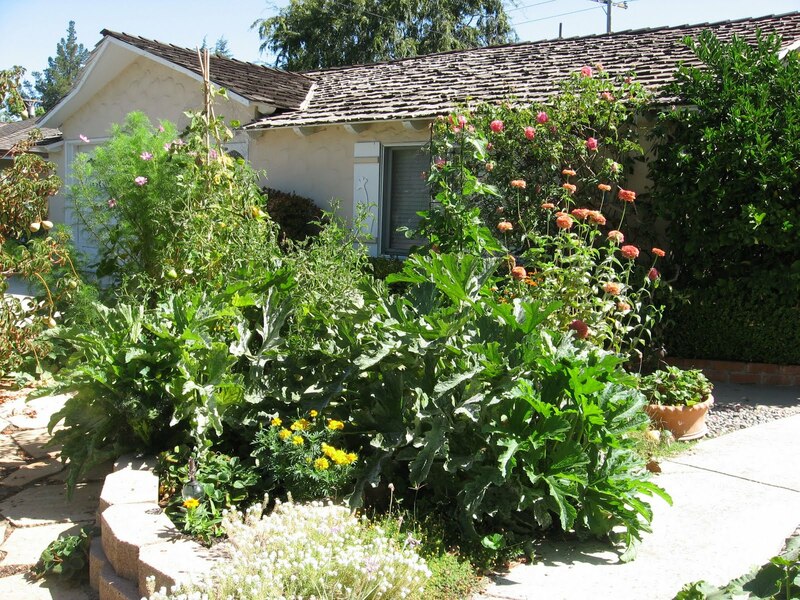 I hope this convinces you that edible landscaping in the front yard can be attractive, as well as a provider of abundant, healthy food for your family and neighbors. Besides sharing with my neighbors, I've been taking the extra bounty over to the Community Services Agency in Mountain View, which provides food for the needy in our area. I will definitely be planting extra from now on to share! 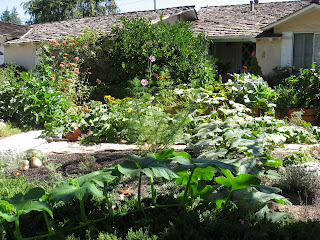 Gardens are naturally giving: in beauty, healthful living, and in healing the planet. 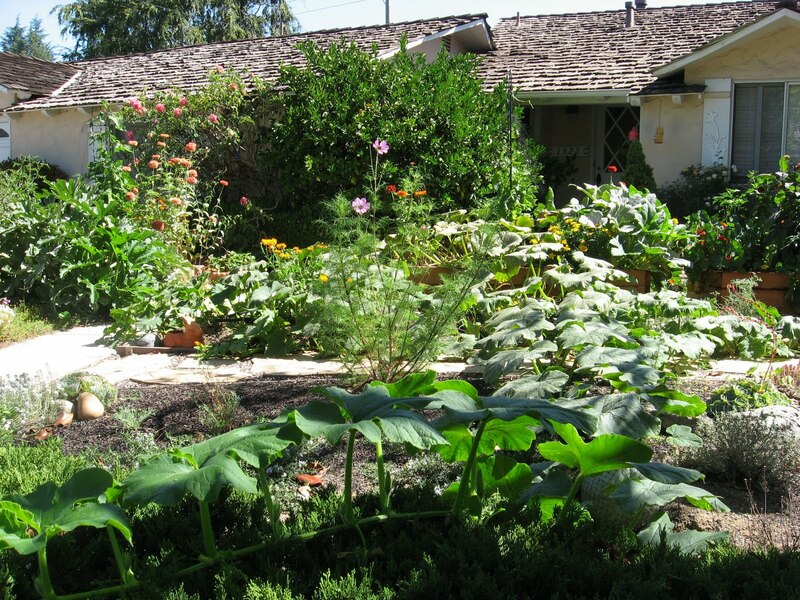 The more gardens the better! "Saving Seeds, Preserving Taste: Heirloom Seed Savers in Appalachia"